After tutorials Part 1 & Part 2 with InstaDMG which deal with doing a basic OSX Mountain Lion 10.8 build and then introducing a user account and clearing the Set Up Assistants on boot, it’s time to tweak some preferences on OSX 10.8 for the first time boot, includin such as computer name, network, time zone and set applications preferences for Safari and the Finder. 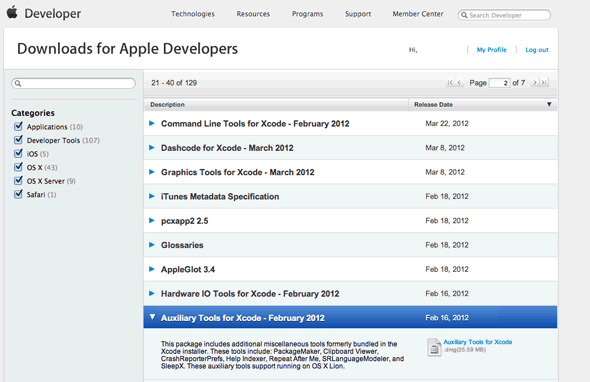 The only tool you will need is Apple’s PackageMaker application which is part of the Auxiliary Tools for Apples Xcode 4.6 and is available for a free download at the developer site at Apple, sign up for free and look for Auxiliary Tools for Xcode in the downloads section. 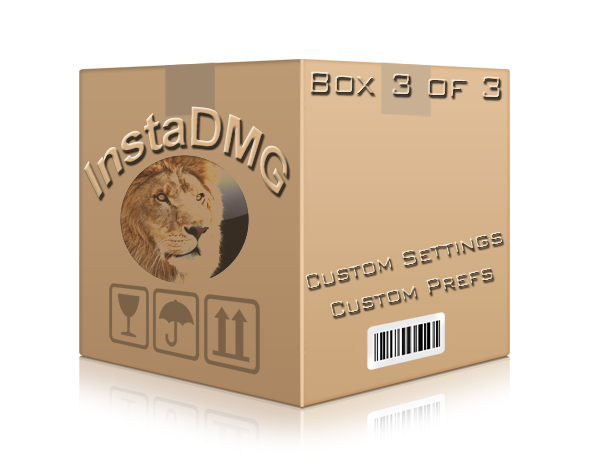 Once the Auxiliary .dmg is downloaded just copy all the contents to the Applications folder – to keep things in a sensible order make a folder called Xcode Tools and copy the contents into that – from there PackageMaker can be accessed. 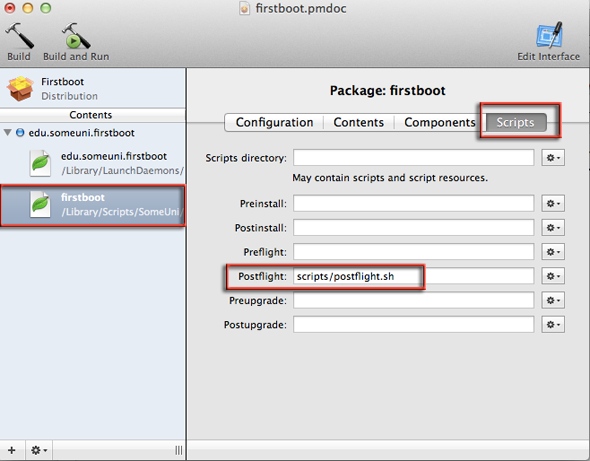 The package contains a directory structure which needs to be maintained throughout and post the editing process, there are 2 key scripts; firstboot.sh and postflight.sh that customize settings for the image that you are building, firstboot.sh sets up a lot of workstation variables such as computer name/network settings/date & time zone prefs etc and the postflight.sh sets up any custom preferences such as preferences to the Desktop and applications like Safari. 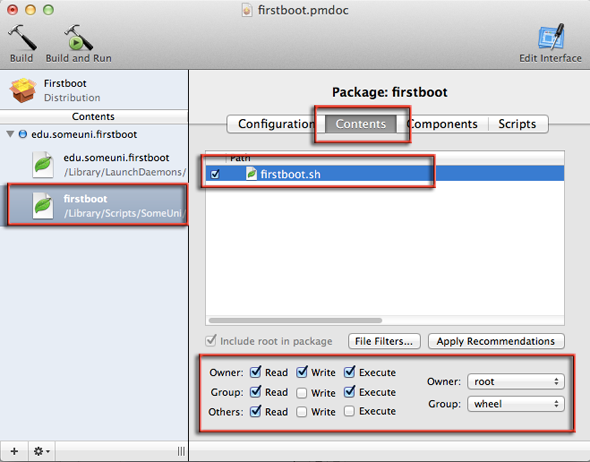 Download the firstboot.dmg, open it, copy the contents into a new folder named ‘firstboot’, the key thing here is to rename a couple of components to your environment, set your preferences in the scripts, package the scripts and then use as an install package to be included with InstaDMG build process. 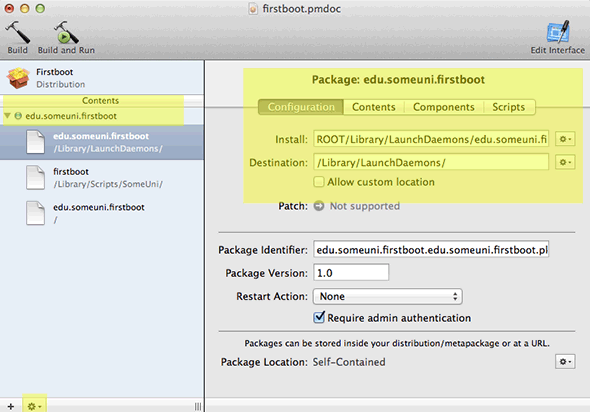 It will open in the Property List Editor (part of Xcode) – change the Label value to com.someuni.firstboot as in the grab above Then move onto customising the scripts. # Set time zone and time server. Just note in the ARD configuration options you need to specify which user to allow for Remote Deskop, the user example here follows on from the user account in part 2 “admin”. More examples found here. 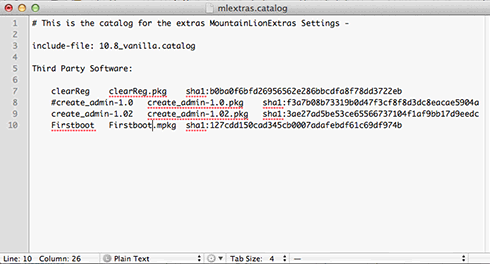 Once the 2 script files have been edited, save them and then its time to make the package. These files need to have root and wheel as the owner and group and the permissions must be set as 754, this is very important as otherwise they won’t execute, click on each file then the contents tab, then the file in the main window, then set the owner and group and permissions at the bottom left to be the same as below. Don’t change the ownership settings on the Package Maker doc or you won’t be able to open it, open the doc back in Package Maker set the permissions save and build. 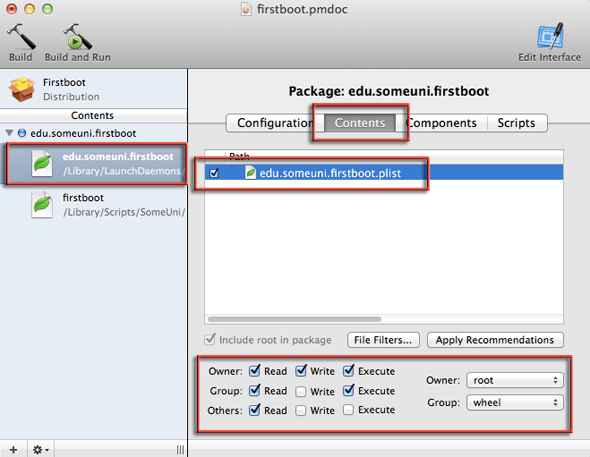 I found that ownership on edu.someuni.firstboot.plist still maintained the wrong user & group in PackageMaker even though correctly set and verified on the command line. 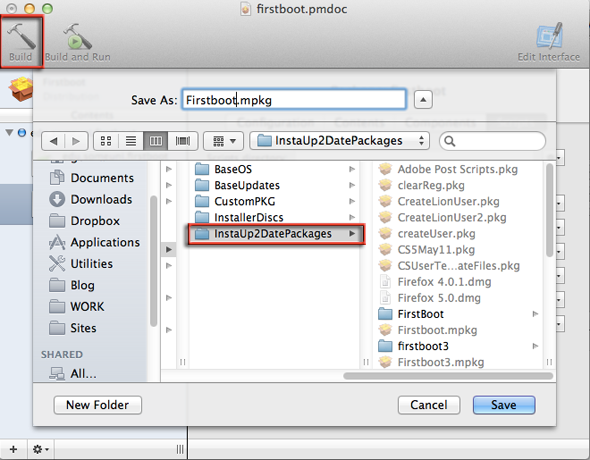 If this happens to you you need to re-add the file into PackageMaker. If you had changed the name of these files to match your company name and reverse domain you will also need to update them where applicable in PackageMaker, in the Configuration tab in the fields, install, destination and package identifier. If you left the value as ‘SomeUni’ you do not need to change any values. 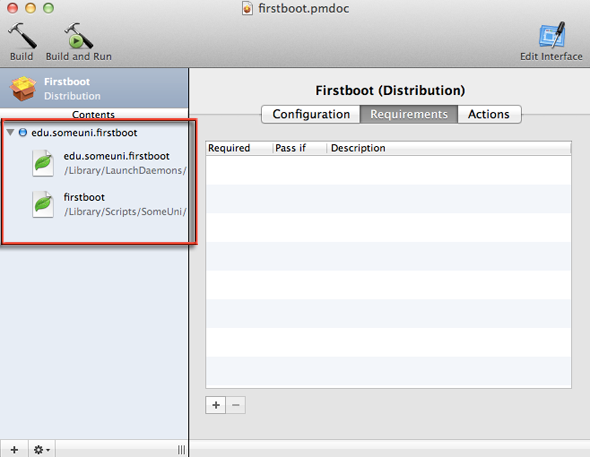 The postscript.sh script is located in the scripts tab of the firstboot.sh, it needs no change.